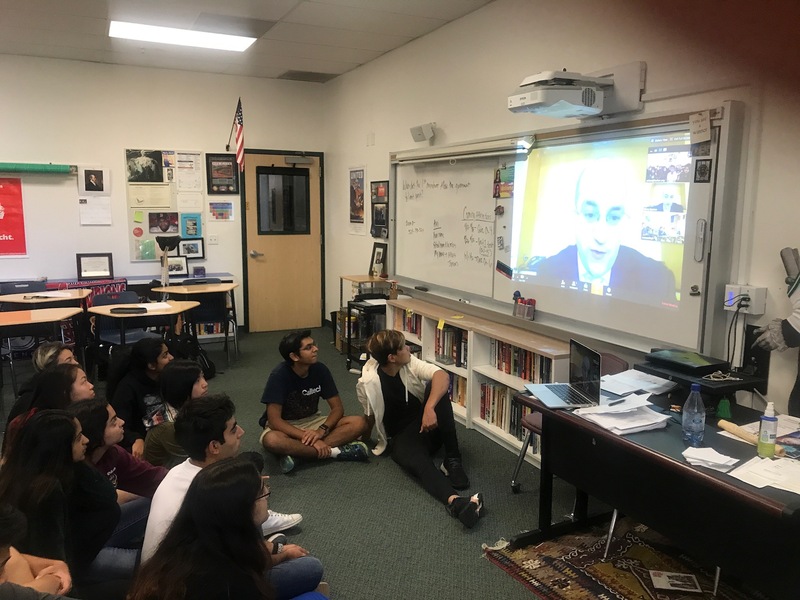 In recognition of Constitution Day, recognized this past Monday, upper school history teacher Julie Wheeler’s AP U.S. history students participated in a video chat discussion on the First Amendment with students from Christopher Columbus High School in Miami. “My students learned a lot about the First Amendment and how complex the rule of law actually is when you try to explain yourself to an attorney,” Wheeler said. Paul W. Kaufman, an assistant U.S. attorney from Pennsylvania, served as a moderator for the discussion. The National Constitution Center chose Wheeler’s students to be part of its classroom exchange, in which 26 classes nationwide (comprising about 650 students) were chosen to take part in discussions about the U.S. Constitution. Discussions were student-led and moderated by legal scholars and practicing lawyers.